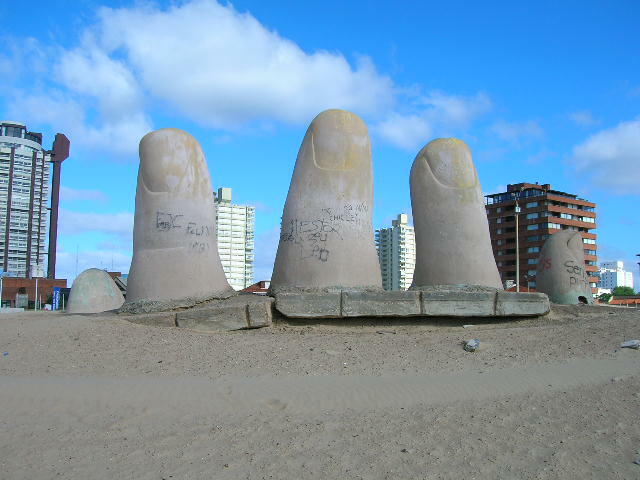 These La Mano pictures were taken in Punta del Este Uruguay in November. If you click on the pictures below, you will go to pages with more Uruguay pictures. We also have plenty of Uruguay Videos and are always on the look out for more. If you want to see a video that has close ups of La Mano, you should check out the Playa Brava page on the Explore Uruguay website.. These pictures of La Mano have plenty of graffiti on them. 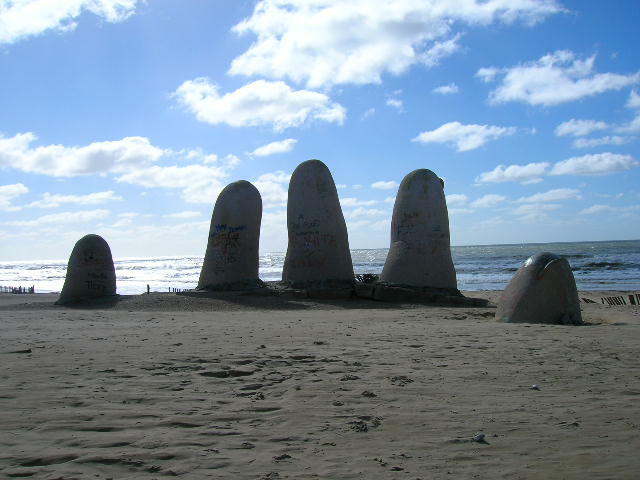 However when these Uruguay pictures were taken, it was November and the city work crews were very busy preparing the beaches for tourist season. This statue in Punta del Este was painted a semi glass gray color before tourist season started.